The Upper Harbor Terminal Master plan is the result of a Minneapolis City and Park & Recreation Board (MPRB) request for qualification. The goal of the RFQ was to redevelop the City-owned Upper Harbor Terminal (UHT) site in North Minneapolis. The selected team is led by United Properties, Inc. and also includes THOR Development and First Avenue Productions. 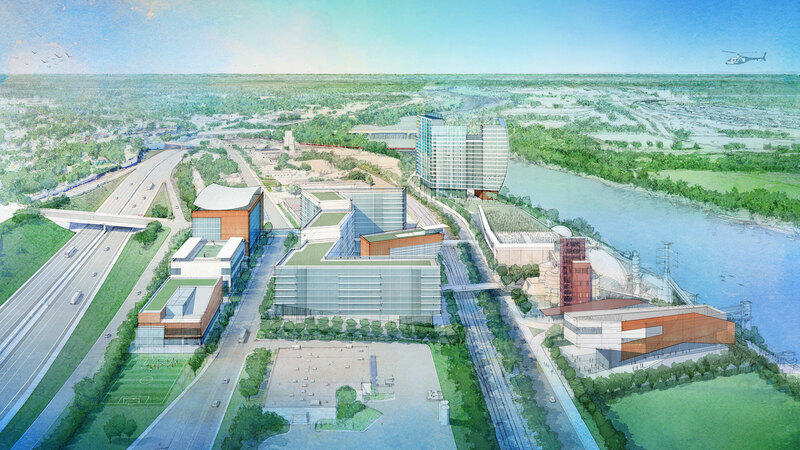 The site is located along the Mississippi River, generally between the Lowry Avenue and Camden bridges, the site is the largest remaining single-owner development opportunity along the River in Minneapolis. The site is just over two miles from downtown Minneapolis and also offers excellent freeway access. 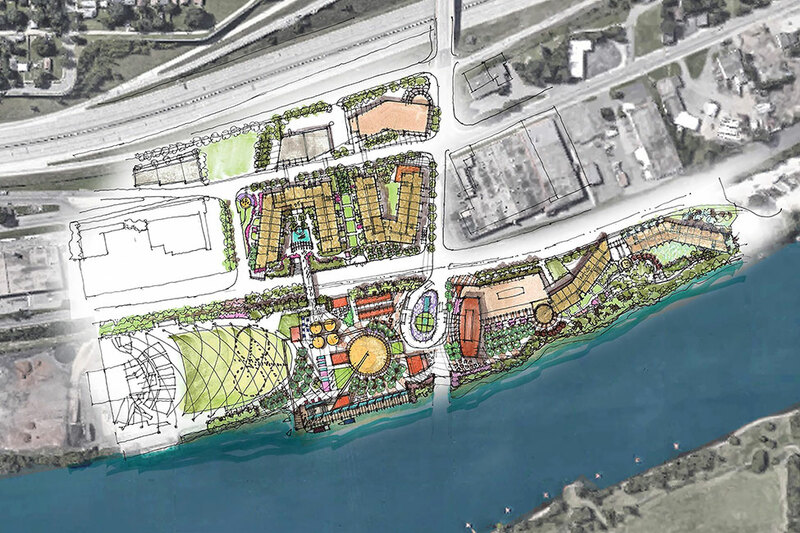 The goal of the redevelopment masterplan is to transform this 48+ acre site from its historic use as a barge shipping terminal to a combination of riverfront park amenities and private development. With over 4,436 feet of Mississippi River frontage (approximately 1,692 feet at Thor Development controlled parcels), great visibility and access, and in close proximity to downtown Minneapolis, the Upper Harbor Terminal is a rare and transformational development opportunity. Our goal, through collaboration and a thorough master planning effort, is to assist Thor development in realizing the development potential of the site.